Image and text templates allow image (photo) / artwork upload with option to enter text. Background colour and text templates offer 35 color options as an alternative to image / artwork - perfect for those who prefer color and text only. Index are located on the top right and bottom left of each playing card and are numbered from ace to king. Standard index are smaller in size than jumbo index. Casinos prefer jumbo index as it better supports viewing from a distance. You can opt to upload your image / artwork and add messages using our text editor in portrait view or landscape view on card backs or card faces. For custom back range, you can customize up to 54 cards (includes 2 jokers) for your designs. For custom face and back range, you can customize up to 108 sides (54 backs and 54 fronts). For custom card range (blank cards), you can choose up to 234 cards per deck. Our custom blank cards are perfect for those who need complete control over how their deck of cards will look where you can upload any design to the cards face and back. Choose to customize up to 234 cards in a deck. Perfect for those looking to create custom trading cards, game cards or any other custom card decks for any other puposes. 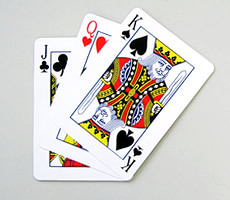 Poker size cards are more commonly used in industries such as education, retail, businesses while bridge sized cards are often used for gaming industries such as casinos. 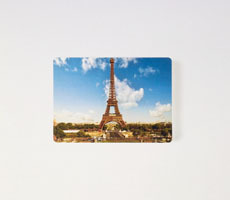 Large sized cards are mainly used by marketing companies looking for a unique way to display their portfolio or retailers and the eductional sector looking for more space to print pictures and photos. All our cards have several professional card stock options including smooth and linen finishes. 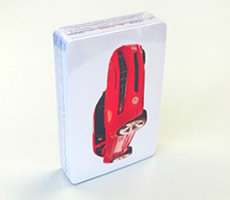 Smooth finish uses a 300 gsm card stock with black core and is popular for tabletop game cards and promotional use. Linen finish uses a 310 gsm French or German Master quality card stock with black core later and is preferred by professional card players around the world as it offers a more superior durability and is more mark resistant without forgetting the importance of the shuffle and deal with ease requirements. We also have promotional finish 270gsm which are slightly thinner but same high quality for those who would like personalized card decks for promotional purposes. 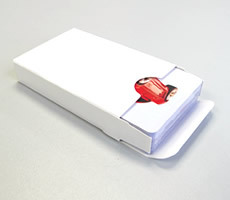 Our premium option 100% white plastic is highly acclaimed and is perfect for long lasting cards and card enthusiasts. A top choice and highly sought after. 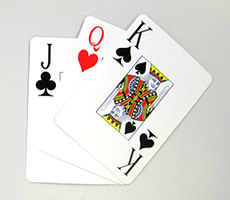 Quality playing cards have a black or blue core layer between the card front and card back. Cards without a core layer are transparent when held up against light. For opaque cards, the black core is essential and adds quality to the cards. 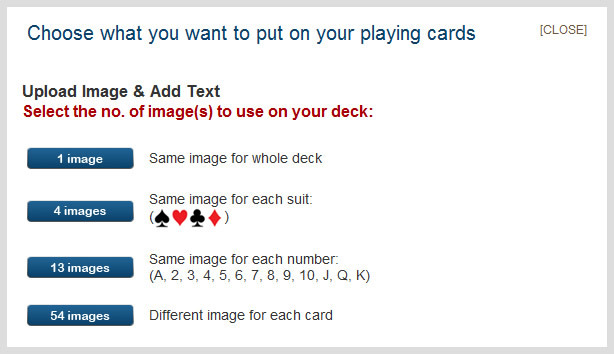 Our casino card quality option uses French black core cards. Blue core playing cards are the next best thing to black core and can only be seen as transparent when high intensity light is shone through them. Our premium cards option uses the blue core. We also stock 100% plastic playing cards (13pt 100% white plastic (0.325mm)) which has become a popular choice in the games industry. 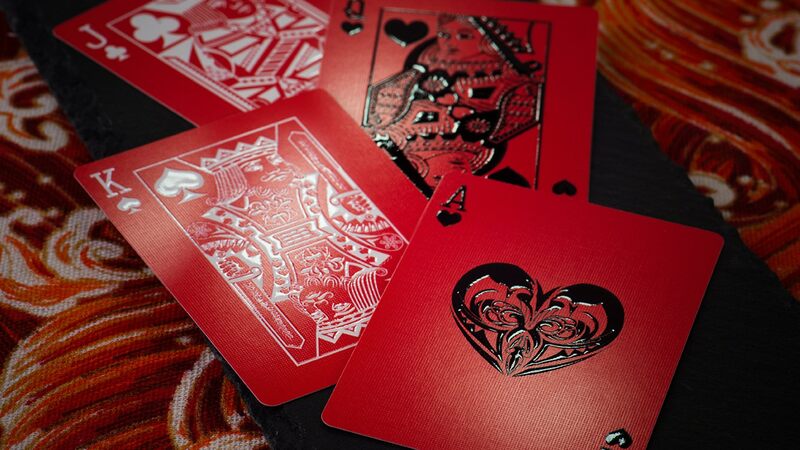 We use some of the best plastic playing cards materials available in the gaming industry printed in high gloss providing rich photographic finish on each individual card, putting us second to none in this market. 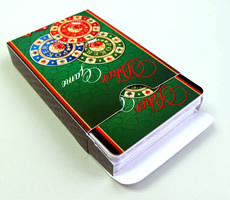 Plastic playing cards are longer lasting than ordinary paper playing cards and are waterproof. All our bridge and poker size cards are available in plastic. We have 5 professional cardstock options for you to choose from. So which one is right for you? 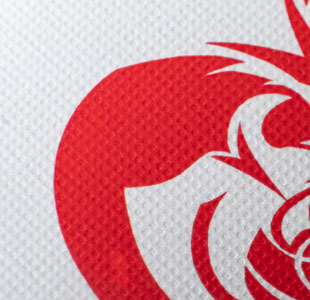 We take a closer look here. Our 270gsm promotional cardstock is the lowest price from our range but still providing high quality printed cards. Each card contains a blue core layer in the middle to make them less see through. 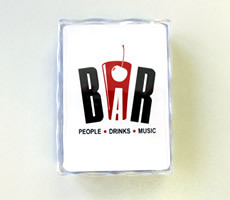 These are especially popular for marketing promotional purposes or customers looking for a lower priced option. 300gsm cardstock has a smooth finish and is the most standard cardstock on the market. Each card contains a blue core centre to reduce card transparency. 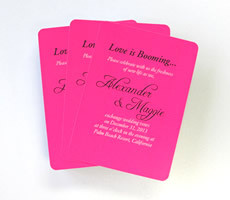 These are popular for game card designers and for higher end company/wedding promotional purposes. 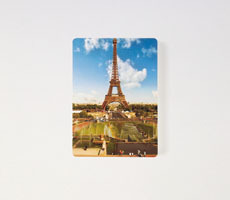 Great for photo printing which makes this one of the top choices. Our 330gsm card stock has an extra smooth finish and is a German card stock which is considered to be one of the finest available. This card stock provides more visual contrast than standard stock, keeping the graphics printed on each card vivid in colors. The card stock is made to look cleaner, extra durable, and all in all, possesses a superior feel to them. 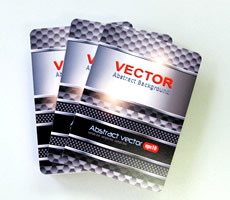 Top choice for game card creators and for purposes that requires the absolute best in smooth card surfaces and quality. A very professional casino paper cardstock option that we offer is the 310gsm from France which has a linen finish with air pockets making them more durable, better handling and more slippery. Each card contains a black core layer centre to block light shining through. These are perfect for professionals who are in the playing card and games industry requiring top quality or simply for people who would like professional playing cards card stock for their prints. 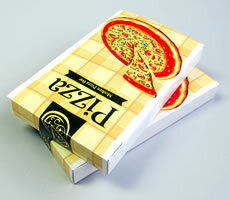 Our top of the range paper card stock is the 310gsm linen air option from Germany. It's similar to our 310gsm French linen cardstock but the card surface embossing (air pockets) are further defined which traps more air to provide an unparalleled smoothness in card handling. These cards are very durable, beautiful with top notch handling which make them MPC's top pick. This option carries a minimum order quantity of 1000 decks and will be printed on traditional offset printers with solid color output. This is perfect for people who require the absolute best in quality on playing cards and demand that their cards perform as professionally as they look. Great for Kickstarter projects, cardists and magicians. Our plastic playing cards are 100% white plastic with a thickness of 13pt. Very long lasting, slippery and excellent handling. Completely waterproof and stays in shape even with the roughest of handlers. Top choice for customers looking for premium top of the range cardstock that will last the test of time and something different to traditional paper playing cards. Each box is also individually shrink-wrapped prior to being securely packed for delivery. 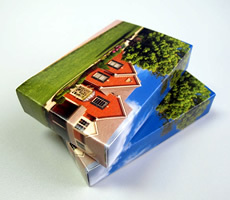 All our cards are printed on high quality material with an inner black core layer rendering them non-see-through. Our playing cards are also fully bendable from end to end without creasing or going out of shape which you can see from the video demonstation below. Whether you choose smooth or linen finish, the flexiblity of the cards are the same so you can be rest assured your cards will last the test of time and robust enough for any use. The quality of our cards are one of the best in the games industry, having spent the last 32 years perfecting them from sourcing cardstock, production, printing right through to applying the end finishing. We put our cards through the test with a seasoned card player to show you how well they perform.